Clark’s mosquito management marketing nets add-on business and new clients. 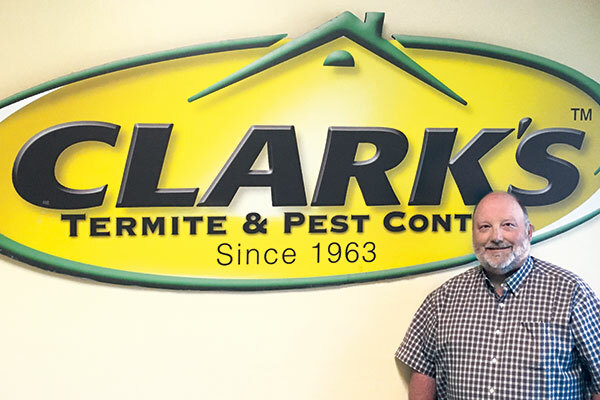 Most of the pest management companies in South Carolina offer mosquito management services, and Clark’s Termite & Pest Control in Irmo is no exception. Entomologist and Technical Director Alan Wilson says it’s an add-on service that pays in more ways than one. Clark’s technicians performing general pest management are trained to give current customers fliers that detail the company’s mosquito management services and the different treatment programs available. Exhibiting at home shows helps the company attract new customers. Clark’s leverages social media to let customers know which local events staff will attend. For those who surf the web to learn more about the company, a page on its website is dedicated to its mosquito management services. Wilson says the majority of the company’s mosquito management services are for residential customers. Business has really taken off over the past five years, and has been steadily growing every year since. Will the recent news reports about the Zika virus translate into more sales this year? Perhaps, Wilson says. Typically, the most prevalent species in the company’s service area are Aedes aegypti, which transmits the Zika virus, yellow fever, dengue and chikungunya, and the Asian tiger mosquito (A. albopictus). Along the Carolina coast, the floodwater mosquito (A. vexans) and the salt marsh mosquito are also common, Wilson says. During mosquito season, Clark’s technicians break out their backpack blowers for adulticide treatment. Customers choose either a one-time service, a three-service program, or a five-time plan with one free treatment that brings the total to six services. Treatments are guaranteed for 30 days. Wilson says the company is careful to tell customers that treatment provides a suppression, not an elimination, service. Because you never know what the problem might be — the neighboring property or a patch of vegetation, for example — Clark’s requires its technicians to use smartphones to take pictures of conducive conditions. “We want pictures of the yard to try and determine what might be the cause of a callback,” Wilson says. An important part of the treatment is education, he adds. Technicians are trained to walk around the property to seek out standing water that would hinder treatment, and bring it to the customer’s attention. Wilson predicts that last fall’s heavy rains and flooding could mean more mosquitoes this season. Wet weather in South Carolina is a common challenge. “You’re always watching the weather, trying to get treatments in around the rain,” he says.